The trunnion bearings of ball mill sometimes has a fracture phenomenon during use, and there are many reasons for the problem of fracture. What are the reason? 1. 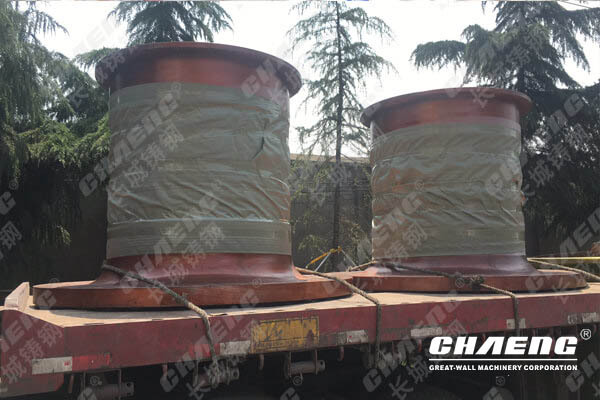 Ball mill trunnion bearings, which is a relatively important part of the ball mill, so it has high requirements for manufacturing quality, but because the structure shape is special, it is still in the R zone, so when finishing processing, it is not Casting defects, such as segregation and shrinkage, slag inclusion, and small cracks, are allowed, which are the cause of the breakage of the hollow shaft.2. The hollow shaft of the ball mill is a relatively large steel casting. Even the weight will reach a weight of more than ten tons. The inner part of the casting needs stress concentration. When processing the trunnion bearings, the blank is treated by aging. Some manufacturers will not care about the quality requirements in order to reduce the occupation of liquidity. They will be processed according to aging, resulting in the existence of stress concentration inside the hollow shaft, which is used under the action of alternating stress. There is also a stress concentration explosion in the middle, which is also the cause of cracks in the casting. 4. The trunnion bearings of the ball mill will be used in the cement factory. Some manufacturers will replace the ball mill end cover guard plate, and the operator will use the bolt head of the gas cutting guard plate to save time or save trouble, and then vigorously tap the screw. Then, it is also caused by the partial heating of the hollow shaft to increase the temperature, which will cause the surface crater of the situation to cause vibration, and then it will cause the internal stress concentration to burst, which leads to the fracture of the hollow shaft.